Can I even begin to tell you how much food I have wasted over the years because I have listened to the "so-called" professionals on how long food lasts on my counter top, in the fridge, or in my freezer? Thankfully, I have wised up over the years and waste much less than I used to. Have you ever read any of the articles that tell you that hamburger can only stay in the freezer for 3 months? I am here to tell you that mine keeps perfectly safely for at least a year. Sometimes the ground venison that we freeze each year is in my freezer for 18 months. I am still alive to tell my story after cooking and eating it. What about the rules that tell us that food can't be out of refrigeration for more than 2 hours? Woe unto you if you allow this. Can you tell me why our ancestors could take fried chicken in a picnic basket on the train and eat it many, many hours later without getting sick? Or how about my husband who took a ham and cheese sandwich to school with mayonnaise in a brown paper sack to school and not only lived to tell about it but never got sick from it? Now, I am not advising that we aren't smart. Obviously some things are dangerous. I am still extremely careful with cans that may have become unsealed or dented. I am still vigilant to taste, smell, or look at what I feed myself and my family for any signs of spoilage. And, I still make my daughters pack their sandwiches in an insulated cooler with a freezer pack. But I know that I have wasted a ton of food because I was too over-vigilant. I gave too much credence to what I read instead of using my own common sense. This is definitely an area where our mothers, mothers-in-law, and grandmothers can help us discern the truth. Let's be smart when it comes to throwing away food, because, after all, what we are really doing is throwing away money! Amen! I once watched my friend's mom go through her fridge and toss food just because the expirationd date was coming. Things like ketchup and salad dressings. I boldly ignore expiration dates! My mom always used the "smell test" and I do the same. I really believe that food producers put those expiration dates on, not so much to protect our safety, but to get us to toss perfectly good food sooner so we have to purchase new food more often! New Jersey has a law that says all canned/non-refrigerated foods have to have an expiration date no more than 2 years from manufacture. Since most items in the US are shipped all over, they do things to comply with these laws and all the rest of us see them. The rule about food only being unrefrigerated for 2 hours is for restaurants, who may be serving immuno-compromised populations such as the very young, the very old, pregnant, and anyone with a disease the affects the immune systems (HIV/AIDS, Cancer, etc). Some states and situations let restaurants have food out for 4 hours, and still risk feeding to those populations! But for the rest of us, these time frames are the beginning of a guideline. Certainly, if it looks and smells good, if it tastes good, eat it. The biggest culprits of food poisoning are meats, which you really ought to know are bad before you eat them; and starches, if not cooled properly. Cover leftovers loosely when you put them in the fridge, keep them flat (instead of tall) so they cool quickly. Don't eat eggs that have cracks in them, and ironically farm-fresh eggs are safer than the ones from the egg factories. If you buy your meat from the butcher, it will last a lot longer in your fridge than if you buy it at the conventional grocery store. You wouldn't buy meat packaged yesterday and meat from the clearance bin and expect them to last the same amount of time in the fridge. 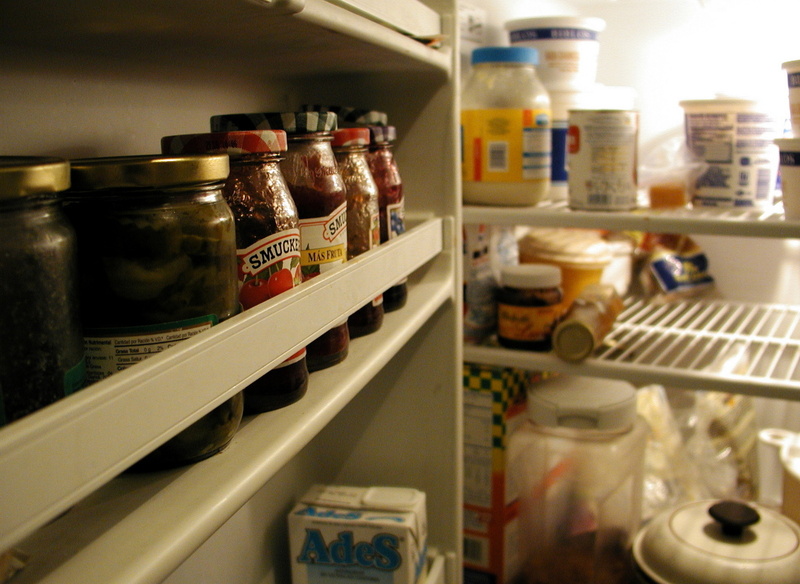 Same concept: buy your food as close to the source as you can, and it will last longer in your home. Conversely, only buy what perishables you can eat in the next couple days, and it can save you lots of money from wasted food (unless of course you have to drive 100 miles uphill in the snow both ways to get to the nearest grocery store. Obviously there are exceptions to all suggestions). I did this for a while to figure out what things we ACTUALLY ate, and you know what I found out? If a watermelon makes it uncut more than an hour after getting home, it's going to end up in the compost--so I just buy it cut! At least then if it doesn't get eaten today it can easily get frozen for smoothies. And I can save my money elsewhere by stocking up on bulk ground beef and freezing it in serving size & meal-size packages. You are absolutely right that a lot of "guidelines" are silly. But they're not written for the average consumer, they're written for those who could be come sicker more easily, and some of them even just because they had to pick a time to specify. At least with those two-year expiration dates on all the canned goods, we know exactly when the can was sealed and can rotate stock properly, and people can judge for themselves whether they want to risk eating it after that date.